Ressler graduated from North Dakota State University in May 2017 with a bachelor’s degree in Agricultural Economics. She was most recently employed at the North Dakota Stockmen’s Association as the Special Projects Director. 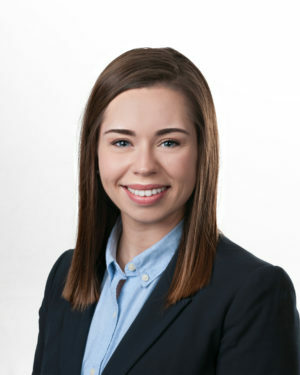 “Elli’s work at North Dakota Stockmen’s Association and intern work at North Dakota Soybean Council have given her an excellent background in helping the NDCGA grow membership, sponsorships and other partnerships. Her experience working in these organizations have given her a vision for how these groups work to ensure our farmer and rancher members are heard and their issues addressed. Elli also has first-hand knowledge of crop and livestock production by having been raised and working on her family’s farm, including helping with the current 2018 harvest. NDCGA looks forward to the new ideas and energy that Elli brings to the organization,” says Dale Ihry, executive director of the North Dakota Corn Utilization Council and the North Dakota Corn Growers Association. Ressler’s duties will include writing and layout of Association newsletter, coordinating events and Association meetings, representing the Association at trade shows, fairs and other events, and managing sponsors and membership for the ND Corn Growers Association.